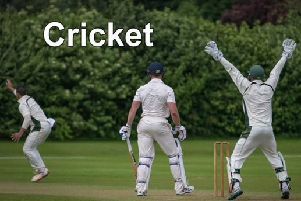 The Friendly Team hosted the return game against Lincoln and got revenge for the heavy defeat earlier in the season with a magnificent 139 – 95 win. John Scott, with Terry Wallis, Rose Clapton and Helen Quirke held on to win 21 – 17. Nigel Moxon’s set of Gordon Chamberlaine, Barbara Polley and Colin Grosse romped home 35 – 11 and took best rink prize. Larry Davies, with Gloria Davies, Bob Hill and Margaret Hill held off a spirited fight back to win 24 – 17. Charlie Rands, with Pat Rands, Jenny Elphick and George Glover won 20 – 12. Bill Ellison, with Carole Wallis, Janet Underwood and Colin Underwood found magnificent form to amass 10 shots without reply to win 23 – 17. John Bennett’s rink of Len Rowlands, Ken Searle and Yvonne Paul were beaten 16 – 27. Next game is January 17.